GoPro HD Helmet Hero camera is probably the best Sports Cam on the market. The GoPro camera is really easy to handle and will give you high quality pictures and HD Video. There are hundreds of GoPro windsurfing head cam videos out there. Sooner or later you will start searching for alternatives to the Helmet cam mount. 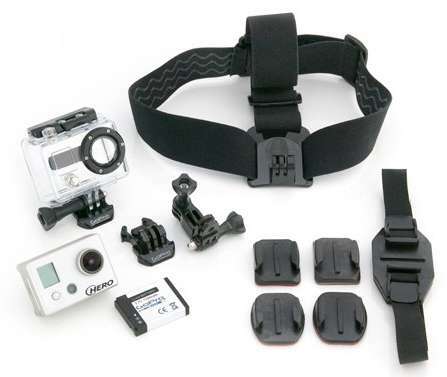 If you have a GoPro HD Helmet Hero camera you will be able to use the included headcam mount to mount your GoPro camera on your windsurfing boom. The new boom mount will give you a really cool video angel, the GoPro camera delivering HD video just a few inches abow the water.